It uses a large toroidal power transformer and conservatively rated reservoir capacitors, enabling it to deliver 600W RMS into 4 ohms with both channels driven. This ensures that it will drive any German Physiks loudspeaker and almost any other makers’ loudspeakers, while providing excellent dynamics and bass control. Large heat sinks concealed within the case, allow the unit to run continuously at high power whilst remaining cool, thereby improving reliability. 3 balanced and 3 unbalanced inputs are provided per channel, allowing flexibility for use in a wide range of system configurations. 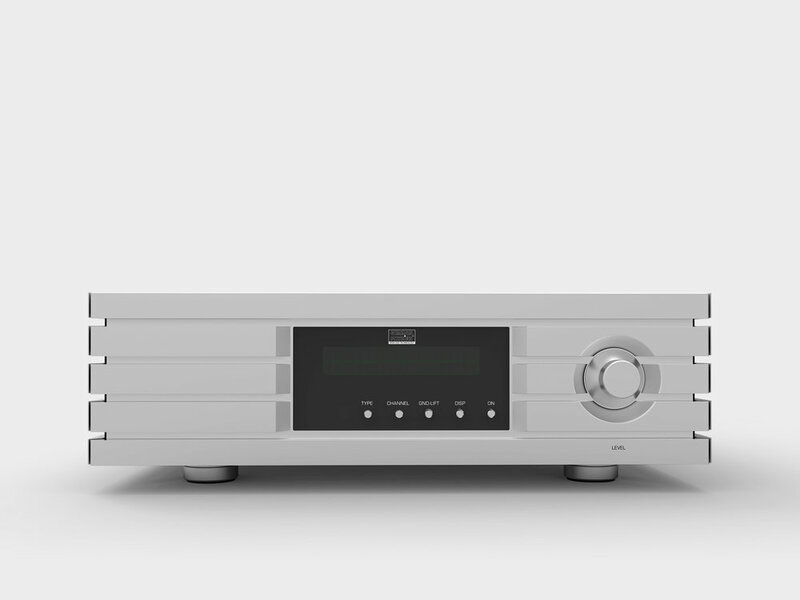 Each channel also has 2 balanced and 2 unbalanced preamplifier section outputs, making it easy to add additional power amplifiers when the unit is used in multi-amp systems. Direct inputs are provided for the power amplifier stage, allowing this to be used independently of the preamplifier section. The volume control uses a sophisticated relay-switched resistor network design, allowing precise adjustment with very accurate channel balance. This also gives the volume control stage a constant input and output impedance, which prevents the changes in sound quality that can occur at different settings with simpler designs. The preamplifier section, power amplifier stage and control section all have their own independent toroidal power transformers. These were chosen for their low external magnetic fields. To minimise the effects of stray magnetic fields, all four transformers are housed in their own screened enclosures. Input selection and volume level may be adjusted from the front panel, or via an infrared remote control, which is included. This is housed in a heavy machined aluminium body to match the solid feel of the unit’s main chassis. Great attention was paid to the aesthetics and the mechanical construction. This is a very high quality product, so the look and build quality had to be of a commensurate level. The construction uses an internal steel chassis with a 15mm thick silver anodised aluminium outer case. This provides magnetic screening, together with structural rigidity to minimise the effects of external vibration. The fit and finish of the chassis is first class and this combined with the impressively smooth feel of the controls, reassures the user of the high level of quality that this product offers.